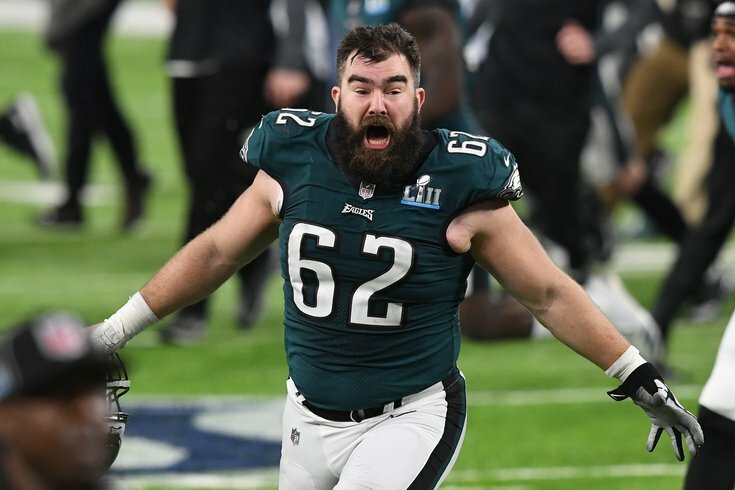 Feb 4, 2018; Minneapolis, MN, USA; Philadelphia Eagles center Jason Kelce (62) celebrates after defeating the New England Patriots to win in Super Bowl LII at U.S. Bank Stadium. Philadelphia Eagles center Jason Kelce will be the host of fundraising event A Night of Philly Music. He will be at the Ardmore Music Hall on July 21 for the event, which will benefit Make the World Better, started by ex-Eagles player Connor Barwin. Performing will be West Philly rapper Chill Moody and Philly funk band Swift Technique, featuring Eli Winderman from Dopapod. Tickets for the show are $25 online and $30 at the door. If you're an Eagles fan, you may want to splurge for an $89 VIP ticket, though. It includes a meet and greet and photo op with Kelce, plus early access and guaranteed seating. A Night of Philly Music is only open to those 21 and over.